Do I have your attention now? Before I explain why video games are better than books, I should probably explain what exactly I mean by that, and also what I don't mean. I don't mean that every game is better than every book or even that most games are better than most books. I do mean that video games as a medium have more potential for storytelling than books do. With that being the case, if a hypothetical perfect game and perfect book existed, I believe the perfect game would always be better, due to its higher potential for greatness. But let me explain why video games are better. The primary reason is because of the number and variety of tools that each medium has at its disposal; in other words, what can you do with it. Books can tell a story (or display information) in plain text and static images. Film increases this potential by having motion and sound, but comes at the expense of always moving at the same speed (you can't "speed read" a movie) and typically being shorter than a book in length (though this isn't the case with TV series). Video games add interactivity into the mix, and this one addition increases the potential for greatness even more than images, motion, and audio do. Interactivity lets you influence the story, or even if the story doesn't change, you can be the main character and experience the story in that new, immersive way. When you actually have to overcome the challenges along with your character, the potential for emotional connection to that character and catharsis at the end can be much greater than simply watching or reading about the character experiencing his or her story. Interactivity also regains the ability to go at your own pace, which movies lack. Games can also be long, like books, or even longer since they aren't limited by physical size; rather than carrying around a huge tome, you can have the whole thing digitally on a small handheld system, computer, or home console (though of course digital copies of books are now mainstream as well). develop the characters in interesting ways. What's nice about the length in games, however, is that much of it can be optional. In a book, it wouldn't make sense to include conversations that characters could have had if they talked to certain people at certain times in certain places before continuing with the main story. Even if you wanted to read those kinds of minor side-stories, including them in the linear medium that books are wouldn't work without jumping from page to page or having fold-out flaps with additional information. Games allow you to interact with this side material as you see fit. Designers/authors can add things that might be interesting but not necessarily relevant to the plot, and the player can easily choose whether to view it or continue on with the main story. Telling a story with a game can have branching paths like a Choose Your Own Adventure book, but it doesn't have to. Just being able to control your character, even if the story is predetermined, gives games an edge over books and movies. But what if you don't want to play along and just want the story? While I personally think you'd be missing out by taking away much of the interactivity, I think that someone like my mom would much rather just watch the story unfold without needing to do much to push it along. If you are such a person, then you're in luck, because games have the potential to do that as well. In fact, the reason games are better than books is because games can effectively be books and can use as little or as much of the other innovations they have at their disposal as the designer/author wants. Take a look at text adventures for example. 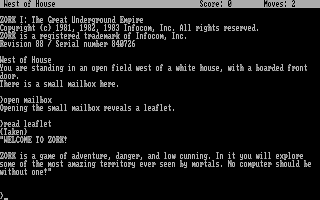 Zork, one of the most famous text adventure games. They might not be as popular now, but many of the first computer games were interactive fiction in plain text. They functioned by describing the surroundings to you and then taking action based on the commands you typed in. I haven't played many of these, but already, that level of interactivity would give an author more to work with than a book would. While text adventures certainly aren't as popular as they used to be, HTML based interactive fiction still has its niche online and visual novels are incredibly popular in Japan at least, where many play/read them on their phones, computers, and handheld gaming systems. Visual novels take text adventures to a new level by adding graphics to represent the characters as they talk, backgrounds to show the location, and often music and voice acting. Their interactivity ranges from simply reading the story to choosing conversation options to solving puzzles in between the novel segments. As before, an author is free to use as much or as little additional features as they want, whether that is plain text or animated with voice acting. Either way, visual novels and other genres of games offer totally new methods and opportunities for storytelling, many of which have yet to fully reveal their potential. So if you consider the advantage of books to be that, as they are just text, they require imagination, consider that games can be the same way if the author so chooses. 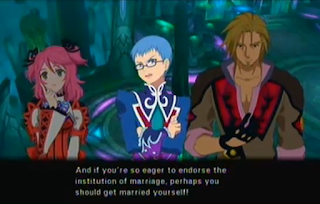 Visual novels like 9 Hours, 9 Persons, 9 Doors, blur the line between game and book. As I expand my horizons of games I play, I find myself conflicted about whether I can use the word "play" at all. When the majority of a game is reading its story, is it really so different from reading a book? If the only thing you like about books is that they are contained in paper and binding, I'm afraid I can't help you there. If, however, you as a reader or as an author are interested in experiencing storytelling in an entirely new form, I highly recommend giving video "games" a look; their potential is only limited by your imagination. In The Groove - What's Up at D.O.W.N.S.